This tool allows you to create your own maps using data you supply by County, Public Health District, Perinatal Region, Census Tract, GA House and Senate districts. 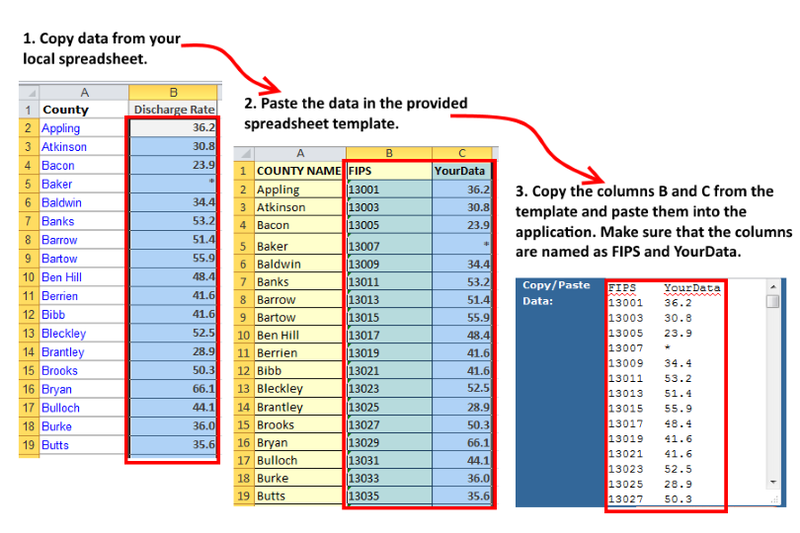 Please use this spreadsheet template to enter your data in the standard format. Follow instructions in the spreadsheet. Please note that the column names must be "FIPS" and "YourData" respectively. Copyright Georgia Department of Public Health © 2003-2018 App Version: 1.0 Content Version: 1.1 Department of Public Health, Office of Health Indicators for Planning (OHIP), all rights reserved.